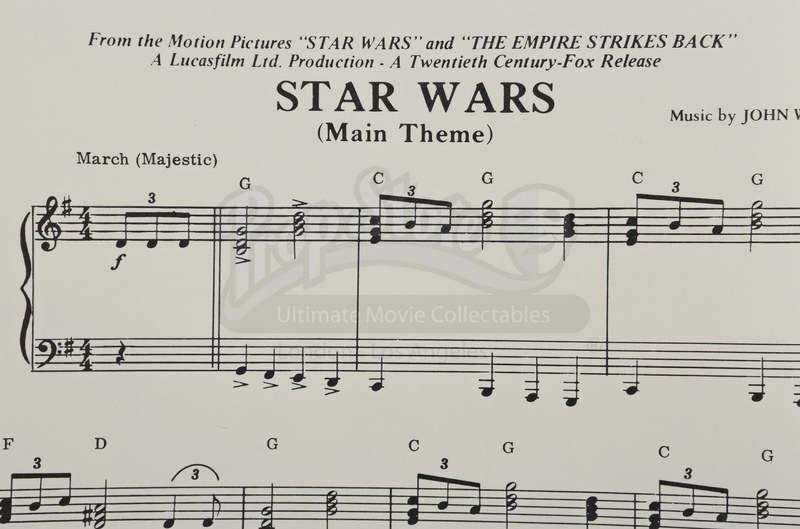 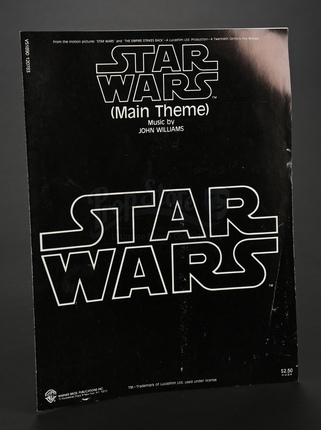 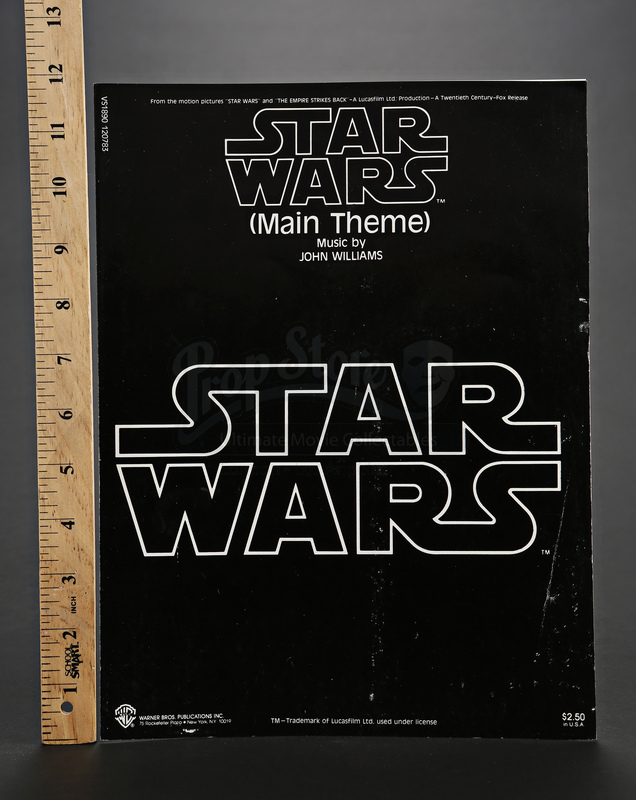 Main Theme sheet music composed by John Williams for the Star Wars Trilogy. 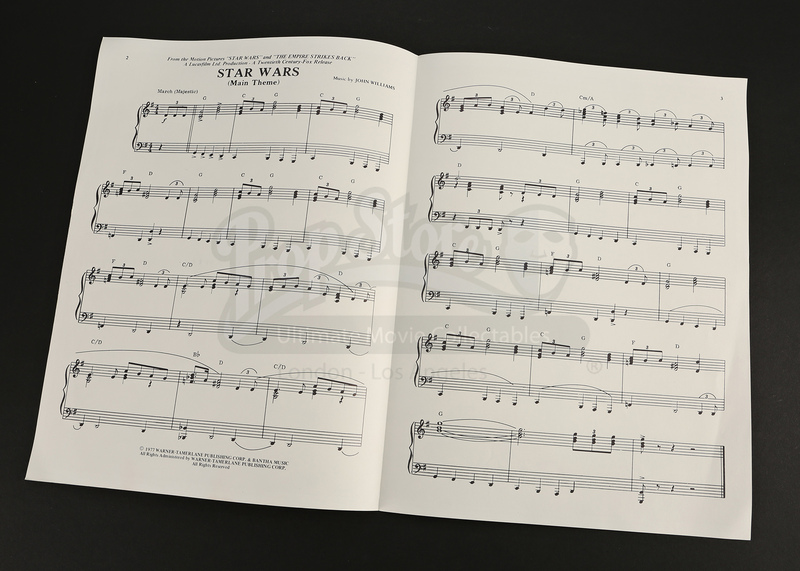 This sheet music is printed on thick paper that has been folded in half and was sold in retail stores. 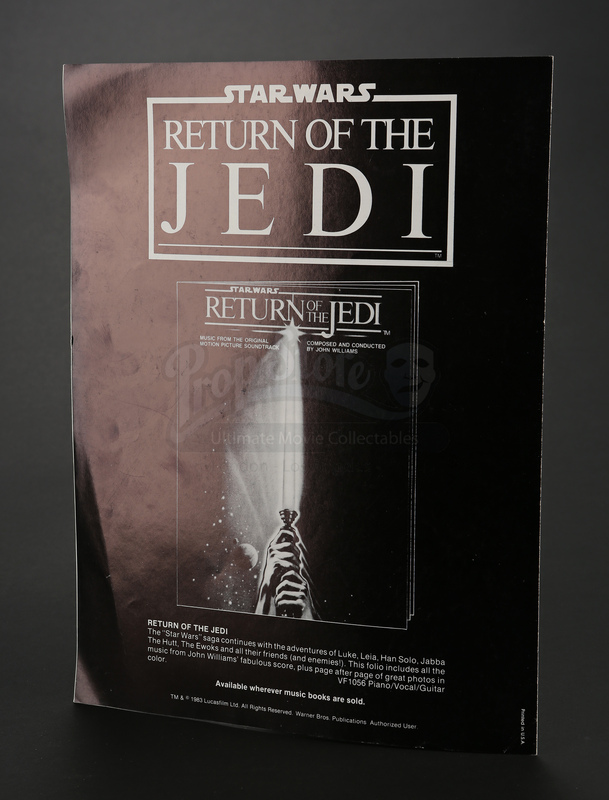 The back of the sheet music features and advertisement for the then unreleased Return of the Jedi. 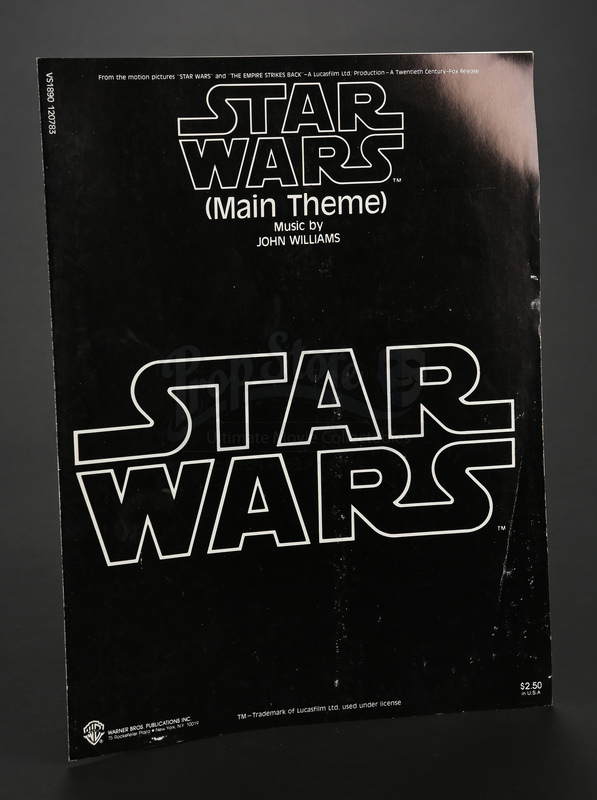 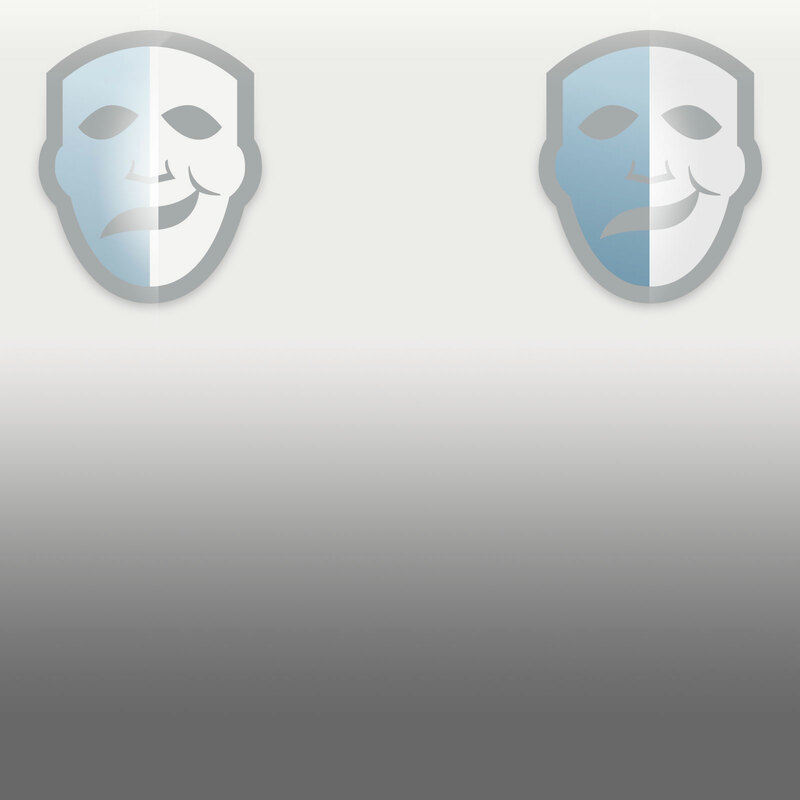 This sheet music shows some wear such as creases on the cover but is offered in overall good condition.